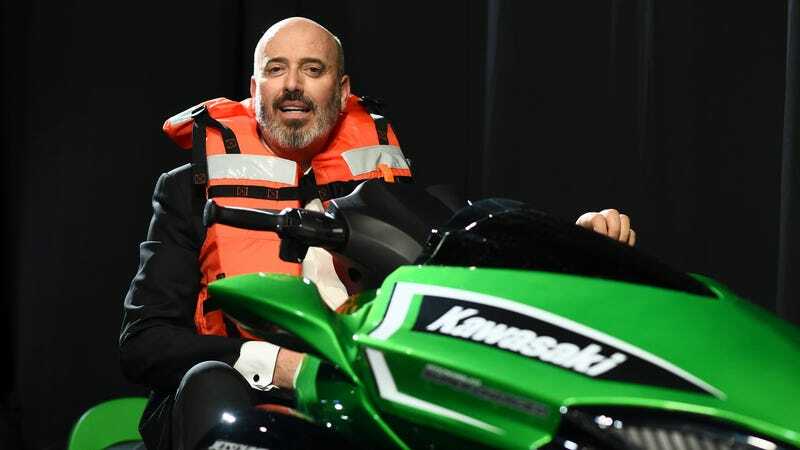 In a slightly disappointing end to one of the better gags from last week’s Academy Awards ceremony, Phantom Thread costume designer Mark Bridges has decided to give away the Jet Ski that Jimmy Kimmel gave him for having the night’s shortest speech. Bridges, who also won the Oscar for costume design, evidently had no use for the bright green Kawasaki, as he has now donated it to the Motion Picture Television Fund so it can be given away in a raffle on Omaze.com. Get Out won Best Screenplay, and you'll want to get out on the water with this sweet Jet Ski!